Alcohol is a diuretic. This means that it triggers your body to start peeing a lot more. Not only are you losing water and fluids out that way, alcohol suppresses the secretion of Anti-diuretic hormone (ADH), which means that your body is unable to regulate how much water you are losing through pee. Usually when you are getting dehydrated, ADH kicks in and stops your kidneys from making more urine, but with the suppression of ADH by alcohol, there is no checks and balances. So you start peeing a storm. 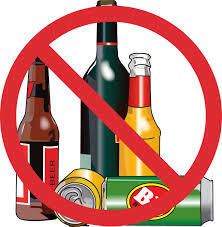 In addition to this, the liver which is the main organ that gets rid of alcohol by breaking it down metabolizes about 90% of the alcohol in our body while only about 10% is excreted through either our urine or breath. The liver metabolizes alcohol at the rate of one to two units per ounces, sometimes less than that in women. The liver needs water to get rid of toxins from the body but, as alcohol acts as a diuretic, there will not be sufficient amounts in the body, so the liver is forced to divert water from other organs including the brain, which causes the throbbing headaches. In addition, your blood is thickened by this sever dehydration, leading to clumping, which then leads to a crisis. The liver also produces more toxins in the body as a by-product during the breakdown of alcohol. When the liver is metabolizing alcohol it produces acetaldehyde, a substance which has toxic effects on our liver, brain and stomach lining, resulting in severe headache, nausea, vomiting and heartburn (aka hangover). So, before you take that shot of whiskey (which is 1.5 ounces), realize that you are dehydrating your body at an alarming rate, doing damage to your kidneys and liver, as well as setting yourself up for a crises. Remember, with sickle cell, water is your friend…alcohol, not so much. Culled from Sickle Cell Warriors.